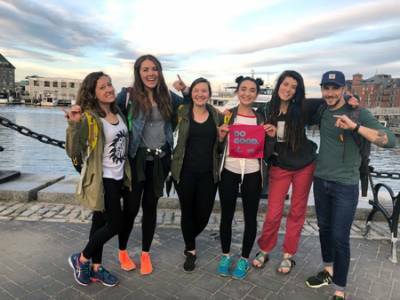 The Cotopaxi Questival is a 24-hour adventure race where teams of 2-6 friends explore the unknown in their city and the wild spaces around it and compete for over $5000 in prizes. 24 hours. Your city. And a group of friends. The Cotopaxi Questival is an adventure race that invites you to explore your surroundings, complete challenges, and have a whole lotta fun. Here's how it works: First you get your team together. Teams consist of 2 to 6 people, so start recruiting now. Next, get the Questival app on iOS or Android. It's free to download, and it'll be your guiding light throughout the event. Last, enjoy 24 hours of adventure with your team making countless memories. The event kicks off on Friday April 19 at Christopher Columbus Waterfront Park where teams arrive, pick up their race packages and are set free to complete as many challenges as they can from the list of over 200. Sign up today and get ready for an adventure like no other.